I can be pretty harsh on nostalgia. With how often I deride Nintendo 64 games, and lambast many 90s kids favorite animated films, I often feel like I’m bullying my own childhood. But I never say anything I don’t mean, and am just trying to be honest. So if something hasn’t aged well, I gotta give my two cents on it. But nostalgia itself isn’t a bad thing, it only becomes bad when people allow it to blind them. Nostalgia itself, however, can be beautiful, as I just witnessed after viewing Pokemon the Movie: I Choose You. Now, don’t get me wrong, this – the twentieth such Pokemon movie – isn’t a masterpiece or anything. But I will indeed go so far as to say it was one of my better movie-going experiences this year. Of course the Pokemon movies are all an extension of the TV show and, by further extension, the greater Pokemon franchise. They basically print money. But as I’ve stated in the past, I abide by the Andy Warhol approach, and believe that just because something is created with intentions of monetary gain, doesn’t mean they can’t also be more. And the Pokemon series and movies – though boasting more than their share of flaws – always tried to be something more, featuring some genuinely touching story elements from time to time. I’ll save most of my praises and critiques of I Choose You for a more proper review (I plan on reviewing it, and the first few Pokemon movies, in the coming weeks). But in short, I Choose You is a retelling of the first saga of the Pokemon anime, and reimagines Ash’s iconic meeting with Pikachu, their early adventures, and their encounter with the legendary Pokemon Ho-Oh. It makes some changes to these stories (some work, others not so much). We get some new characters in place of some fan favorites, and Pokemon from the current generations of games are prominent. But for the most part, I Choose You recreates many of the show’s most iconic and heartfelt moments in a way that feels earnest. 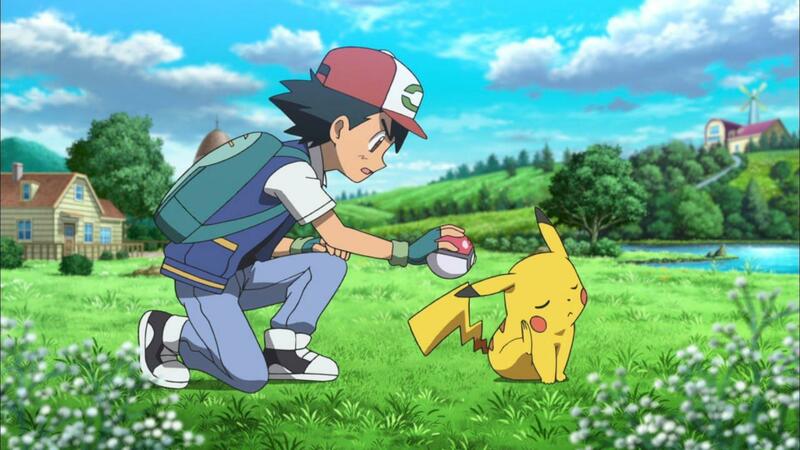 It serves as both a fitting introduction to the series for younger audiences, while those of us who are old enough to remember Ash and Pikachu’s early adventures will be taken back to their own childhoods. It’s a fine line to walk, really. Playing up the nostalgia card can potentially be a manipulative move. But as stated, I Choose You recreates the nostalgic bits in meaningful ways, playing as something of a heartfelt gift to the series and those who grew up with it. Plus it throws in enough new and different elements to give it its own identity. Sure, not all of it works (more on that in my later review), but in a time when media and entertainment is so quick to fallback on nostalgia, Pokemon the Movie: I Choose You was one of the few examples in recent years in which the nostalgia had an emotional effect on me. Pokemon the Movie: I Choose You probably won’t win over anyone who somehow isn’t familiar with the franchise to some degree. But in its own little way, Pokemon the Movie: I Choose You is a thing of beauty, and reminded me of the days when watching Ash and Pikachu’s adventures was at the top of my priorities list, and that there’s a bit more to Pokemon than simply catching them all. Now if you’ll excuse me, I gotta get back to thrashing some N64 games. I haven’t watched it, but I can tell that if I did I would get major nostalgic feelings. I completely missed this but will check it out after this. I did watch the show and the first two movies so I do have familiarity.